The debut for the double-decker plane on Emirates’ Dubai route is likely to provide a much-needed boost for Glasgow, which expects to lose nearly one million passengers from Ryanair and other airlines scrapping routes. 16/04/19'GLASGOW AIRPORT'The Emirates Airbus A380 arrives at Glasgow Airport for the first time. It is only the second time the 489-passenger aircraft has come to Scotland, after a one-off visit in 2014 to mark the route’s tenth anniversary. Emirates said the A380 would fly the route only until 30 September, but it is expected to return next year. The A380 has been drafted in while one of Dubai's runways is closed for upgrading, restricting flights. The aircraft will replace Emirates' twice-daily Glasgow flights until 31 May. The double-daily service will be reinstated in June, with a A380 operating the first flight, and a Boeing 777 on the second one. From October, the service will revert to twice-daily flights operated by Boeing 777s. 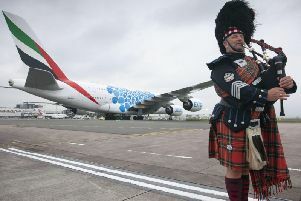 Glasgow Airport has described the route as one of its “biggest success stories”, carrying more than four million passengers, many flying on from Emirates’ Dubai hub to Asia and Australia. It led to the airline launching Dubai flights from Edinburgh last October. Glasgow Airport managing director Mark Johnston has hailed the A380 service as a “huge milestone” and a “first in Scottish aviation industry”. The airport has spent more than £8 million on improvements to accommodate the aircraft, including a triple air bridge to cope with the volume of passengers. 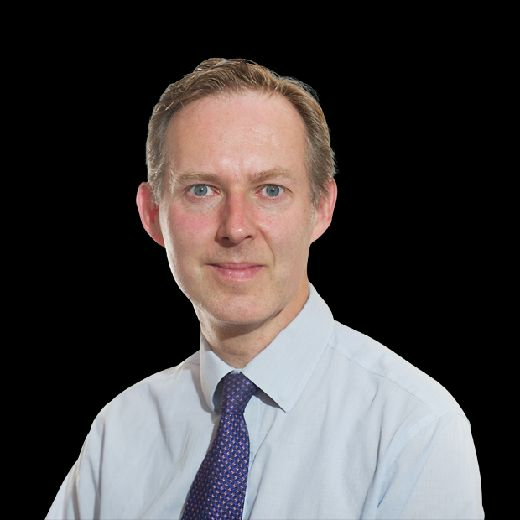 Aviation consultant John Strickland, of JLS Consulting, said: "Ordinarily, the Glasgow route would not be ideal for the A380, runway work excluded. "Better to offer two bites at the cherry with 2 x 777 feeding into a wider range of connection options at Dubai than a once-daily service permits." 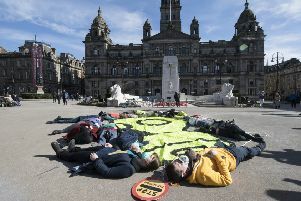 However, The Scotsman understands Edinburgh Airport - Scotland's busiest and growing by 8 per cent a year - has no plans to try to attract a A380 service to the capital. It is focusing on smaller, fuel-efficient aircraft such as the Boeing 787 Dreamliner to provide new long-haul links. The airport is also believed to be keener on increasing the frequency of flights on existing routes rather than see them operated by larger planes. A spokesman said: “New routes and developments, such as our Boston route and the A380’s introduction at Glasgow, are always welcome in Scottish aviation as we attempt to grow the industry. Emirates' A380 comprises 14 private suites in first class, 76 lie-flat seats in business class, and 399 seats in economy. An on-board shower is available for first class passengers, along with a lounge on the aircraft for them and business class passengers. Emirates has a fleet of 108 of the aircraft - the most of any airline - with another 14 on order. However, Airbus announced in February it would be ending production after the airline cut its order from 54, with the last one due to be delivered in 2021.